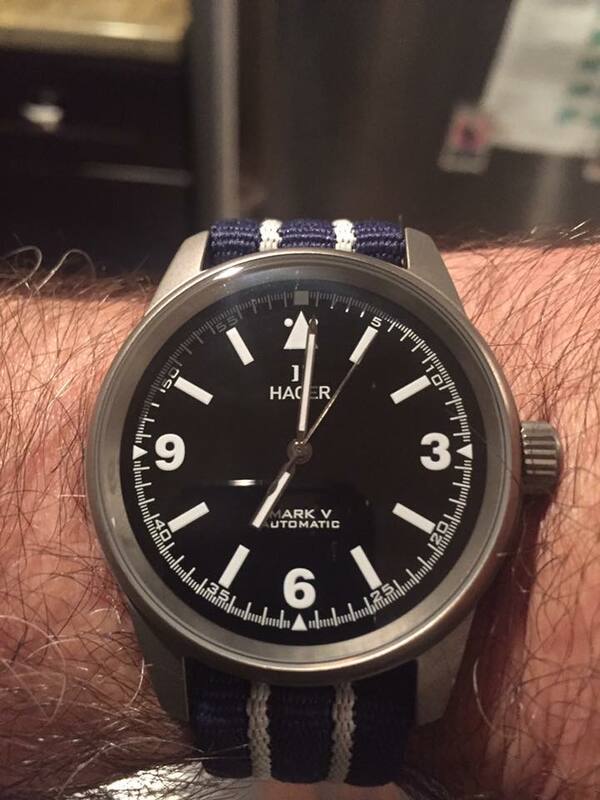 We ran a little past the agreed upon 1 week, but these things sometimes happen, and luckily the folks at Hager Watches were understanding. 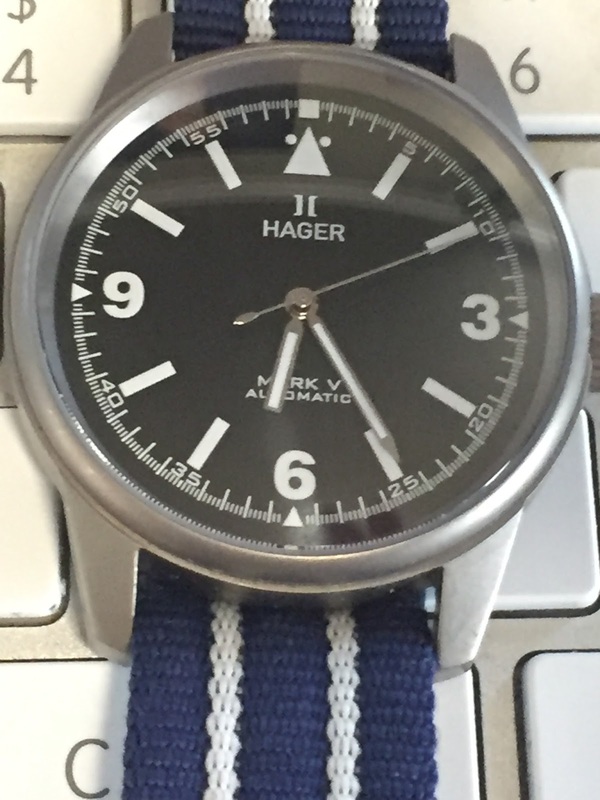 This was one of the first watches brought to market by Hager, and they took pains to inform me that this is one of the last ones in this iteration. There is no shortage of pilot's watches out there. And if I am being brutally honest, the ones that actually speak to me are the ones not trying to be all "heritage". We have a strict ban on hipsters here at Tempus Fugit and therefore anything trying too hard is not going to see the light of day here ; ) And that is what is so cool about the Mark V! It's the little things, like the use of a standard crown as opposed to the oversized onion style. 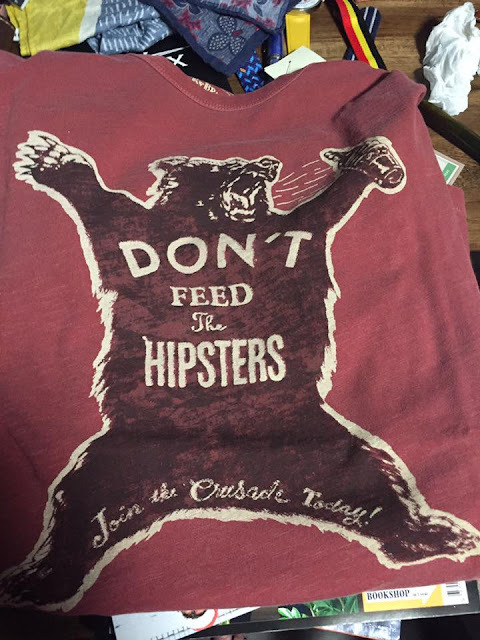 It makes it a little more adaptable for the rest of us who are not trying to wind our watches while wearing gloves int eh cockpit of our fighter jet while single-handedly defeating the Luftwaffe. 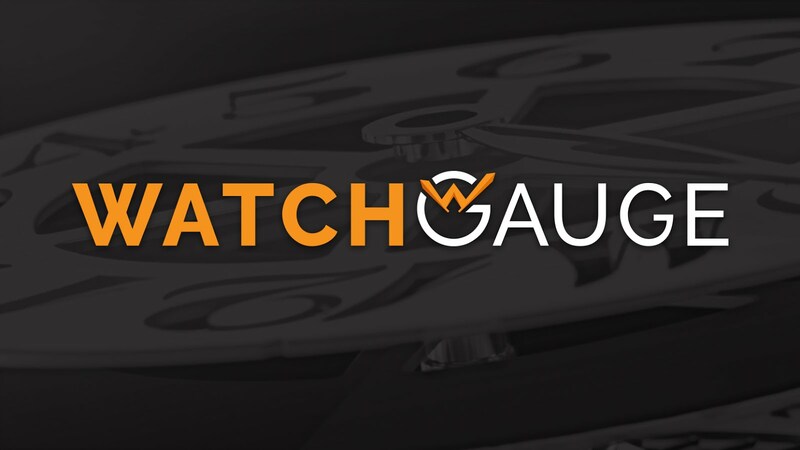 The watch is certainly large enough at 39 mm. 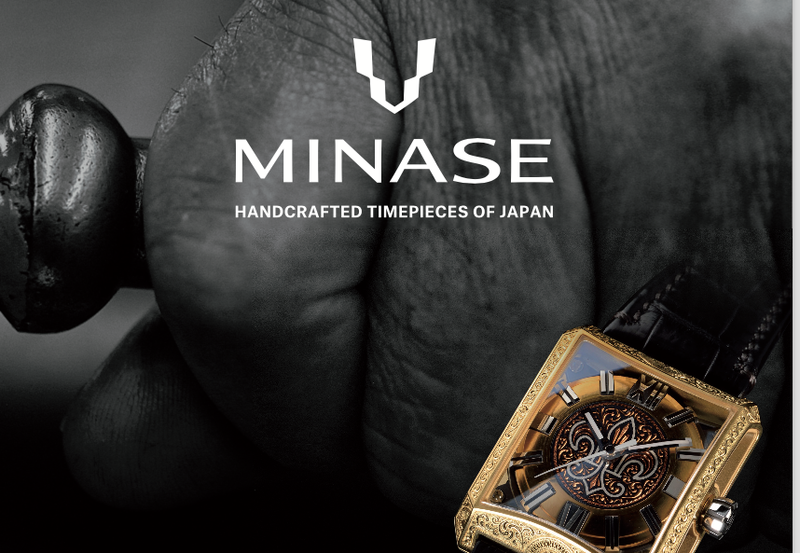 Large enough to be easy to read and to fill the obligatory "wrist space" without being so big that it creates the watch equivalent of "muffin topping". 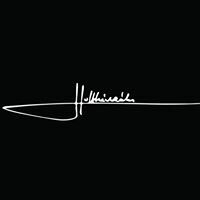 One of the most important things about any pilot's watch is legibility. A clear, easy to read dial is crucial, and the Hager Mark V is wonderfully easy to read. The case itself is made of bead blasted titanium, the case back is solid and the crown screws down to ensure water resistance. Hager warrants water resistance to 50 meters, and apparently my bath tub is either 50 meters deep or less. Nice and dry! I don't mean to dwell too heavily on this, but the more opportunities I get to try on different watches, the more I am drawn to those 40 mm and smaller. If Goldilocks were looking for a pilot's watch this would be it, because it is just right. 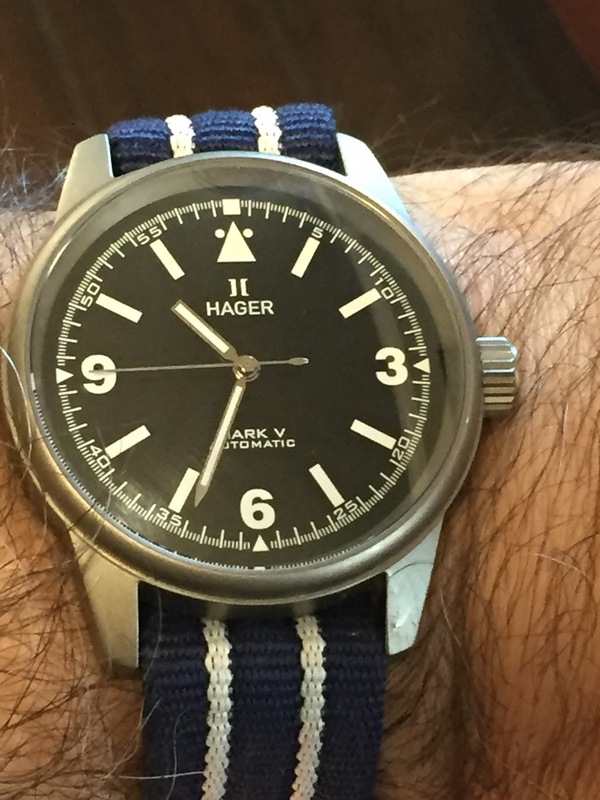 The movement is an interesting proposition - it is listed as the HGR48 Automatic, Hager confirms that this is a clone of the 2824, and it has run flawlessly. 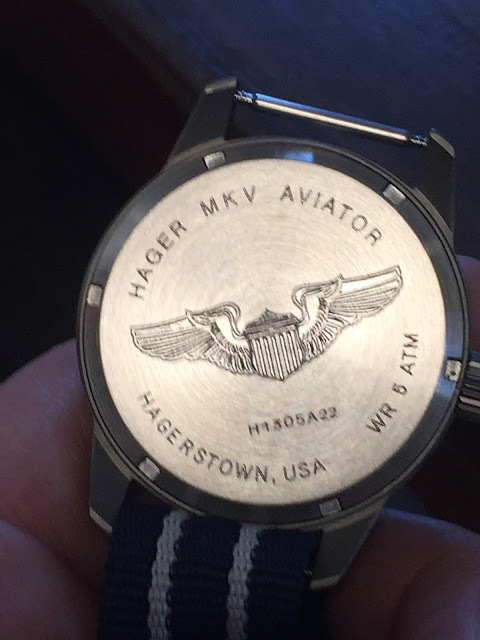 I was also informed by Hager that this was not a brand new, fresh from the watch maker model, but rather one that has been worn pretty steadily. This goes a long way in my mind to address the inevitable questions of how good could a clone be. Well, in my 10 + days experience it has been pretty damn good. The time keeping has been consistent and although the first two days had a + 21 seconds over the 48 hours. After that it settled down to +17. Finish: Gold plated with company logo laser engraved on the rotor.